In 2015, 169 (88%) of the 193 UN Member States were executions-free. On 17 November 2016 the Third Committee of the UN General Assembly (UNGA) will consider and vote upon a draft resolution on a moratorium on the use of the death penalty. This is the sixth draft resolution on this topic to be proposed for consideration by the Committee, under the leadership of the delegations of Argentina and Mongolia. 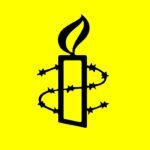 Amnesty International renews its calls on all UN Member States to vote in favour of the draft resolution and support initiatives towards an executions-free world. UNGA resolutions are non-binding tools which carry considerable moral and political weight. The adoption, with increased cross-regional support, of the first five resolutions on a moratorium on the use of the death penalty has generated momentum for initiatives and debates on the death penalty and resulted in several countries progressing their journeys towards abolition of this punishment. The countries that still carry out executions remain an isolated minority, with only 11 countries known to have done so every year in the past five years. Most recently, four countries – Fiji, Madagascar, Republic of Congo and Suriname − abolished the death penalty in 2015, and two others have repealed laws allowing for this punishment this year, Nauru and Guinea. A total of 141 countries are now abolitionist in law or practice. In 2015, 169 (88%) of the 193 UN Member States were executions-free. The countries that still carry out executions remain an isolated minority, with only 11 countries known to have done so every year in the past five years. Yet the opportunity that this year’s resolution offers to UN member states to renew their commitment to the promotion and protection of human rights associated with the death penalty could not be more timely. Fifty years ago the UNGA adopted the International Covenant on Civil and Political Rights, which sets out clear prohibitions on the use of the death penalty and establishes the abolition of this punishment as the ultimate goal to be achieved in countries that still retain it. While the international community has since adopted several other instruments to ensure protection of the rights of those facing the death penalty, Amnesty International continues to document violations of these prohibitions in virtually all countries that resort to the use of this punishment. In still too many cases people were arbitrarily deprived of their lives in executions carried out after grossly unfair trials, often based on forced “confessions” extracted through torture or other ill-treatment; persons who were below 18 years old at the time of the commission of the crime or who have a mental or intellectual disability are still facing the death penalty or have been executed; and applications for pardons or commutation, where such procedures exist, are not meaningfully considered or ever granted, among other concerns. Another strong pronouncement by the UN main deliberative body in favour of a moratorium on the use of the death penalty would not only send a strong, supportive signal to those states that are already considering abolishing this punishment; but also reaffirm that human rights violations associated with the death penalty are not condoned. Amnesty International opposes the death penalty unconditionally, in any cases and under any circumstances, as a violation of the right to life and the ultimate cruel, inhuman and degrading punishment. It is with this spirit that the organization continues to support the adoption of UNGA resolution on a moratorium on the use of the death penalty. Amnesty International renews its calls on all UN member states to vote in favour of the 2016 draft resolution on this topic, both at the Third Committee and when considered for final endorsement by the plenary session of the UNGA in December.